Hi there, lovelies! So you all may know that I have been chosen as one of the participants of ABC Family/Jane by Design's Style Challenge. Winner will get mentioned in the new TV show (which will premiere Jan 3 at 9PM, btw), and be promoted on the ABC Family website. So, contestants were all sent a huge trunk full of props all numbered (still no idea what I'll be doing with each one yet). Challenges will be sent to us twice a week giving us further instructions for each prop. Of course I had to add music ;) The song is called "Boom" by Anjulie. I would really appreciate it if you show me a video of YOUR recent shopping haul, and share it with Jane By Design. 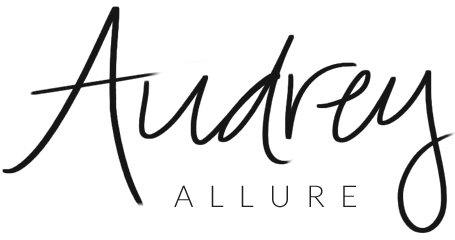 Make sure you mention that "Audrey Allure sent me!" so it counts :) When you do, I will help promote your video & blog on my Twitter, Facebook, and Tumblr accounts! Oh wow, sweetie, that's a lovely haul! Congrats on a challenge! I really liked those gloves and earrings! that ornament is tooo cute! beautiful song and what lovely video! you look beautiful! Congrats on landing an awesome partnership, though! Congrats on being chosen!! That's so exciting :) I read your about my section & I'm so jealous that you're doing fashion merchandising .. I've always wanted to do it but the only school that offers it is really expensive :( So I'm going to vicariously live through you lol! You have an adorable blog & I can't wait to read more from you. Congrats! I hope you win- how cool what that be?! Oh wow congrat's hope you win! Awesome purchases! I love those gloves, such a great idea! Awesome!! You did a great job with this challenge! You picked up some great pieces!! I love the mirror, it's really pretty. Those texting gloves are so cool! Fun purchases! You did a great job on the challenge! Love it! And your blog! hey audrey! congrats on your new adventure!!... i hope you WIN!!! next time, videotape yourself while shopping...show them how you pick your items, why you selected a certain product (and possibly negotiate your price). show off your personality! If you make it into your own little series, it will have a better shot of them putting it on. BEST OF LUCK and keep us all posted! Congrats! Those gloves are fabulous! Oh my gosh that is so exciting! I'm loving those gloves! A haul video.. unlike any other! You have an eye for interesting decorations. Thank you for stopping by my blog and commenting! You have a great blog. I love reading the insights of this post. I like blogging and I post only in my blog. If Blog submission really helps to gain more traffic to one site then I probably try this kind of strategies. Thanks for this!!! Nice post… I like it !!!! I bookmark your blog and definitely will come back. This is an extremely well written article. I will return to read more of your useful info. Thanks for the post. I will definitely return…. This is very beautiful ornament. Your blog have a unique content. This is a mazing post. Your post is too beautiful and I really impressed by this blog. Everything is fairly defined in this post. A good fashionable blog. Such blog are really very useful and adds some quality on internet. Great Post. Thank you very much for sharing. Strong SEO provides white label SEO services to agencies and web design companies to resell to their clients.We work in the background to enhance your client’s search engine ranking while you take the credit for the result. We work in the background to enhance your client’s search engine ranking while you take the credit for the result. your client’s search engine ranking while you take the credit for the result. HSS are launching a new cellular anti-ageing clinic, to be held on Tuesday’s and Friday’s. Find out how fast you’re ageing and avoid age effect on skin. Acne is one of the most common skin conditions worldwide today. It doesn’t discriminate, affecting teenagers and adults, men and women alike.